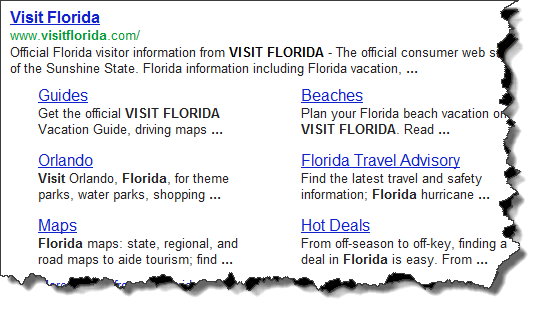 Google and Visit Florida, the state's official tourism marketing organization, have partnered on a digital marketing cooperative program that spans display, video and mobile. The partnership enables Visit Florida to work with businesses in the state's tourism industry to run ads targeted to travelers who view content across the Google Display Network, YouTube and on mobile devices through Google's AdMob mobile platform. “At the end of the day tourism in Florida is the number one industry in the state," said Will Seccombe, CMO of Visit Florida. "On any given day we have more people visiting the state of Florida than 15 U.S. states. It's a highly competitive, very challenging environment, and to be able to develop truly innovative marketing co-op programs for our partners that add value to them in this environment is a really exciting opportunity." The ads will be cobranded by Visit Florida and its partners. 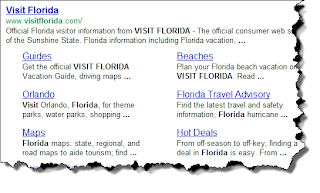 Visit Florida will match every dollar a business spends to run ads via the program," said Sarah Travis, head of travel for the Google Online Sales group. Advertisers will have access to premium placements through reserved inventory and will run on weather, travel, news and women's interest sites, Travis said. Additionally, ads will be geotargeted to consumers in New York, Chicago, Philadelphia, Boston, Atlanta, Baltimore, Birmingham, Detroit, Dallas and Washington, D.C, she said. The program launches on Jan. 3 with four in-state partners: the Palm Beach County Convention & Visitors Bureau (CVB), the Greater Miami CVB, the Orlando/Orange County CVB and the Florida Keys and Key West Tourist Council. Seccombe said the program will refresh each quarter throughout 2012 with new partners from the state's tourism industry. Travis said that cooperative marketing programs for destination marketers have historically run offline through print media, but a study conducted by Google earlier this year found that 85% of consumers cite the Internet as their primary source of information when making travel plans. She added that 20% of hotel queries are made on mobile devices and consumers visit on average 17 different sites when researching their travel plans. “Each one is an opportunity for destination marketing organizations to influence [consumers] to visit their destination,” Travis said. Seccombe said that for every dollar the state of Florida invests in tourism, Visit Florida is able to generate an additional $2 from industry partners through cooperative marketing programs.